Ronald Berger is a dancer and performer from Costa Rica. The conflict between his sexuality and the strong catholic, chauvinist context of his homeland, inspires constant debate, analysis, and questioning of social behavior in his work. He has also taken part in Social Muscle Club. Also incorporated the training in social art: Ausbildung zum Sozialkünstler in Schule der Sozialen Kunst. 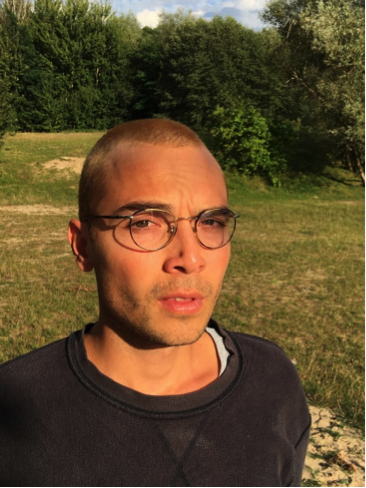 He was a performer at Queerious – Die Geburt des Vulkans by Moritz Sauer at Maxim Gorki Theater and participated as a dancer in workshops such as Animal Instinct with Matan Levkowich and Loop it All with Cesar Alvarado. Ronald was also part of SMASH Berlin #10. He lives in Berlin.